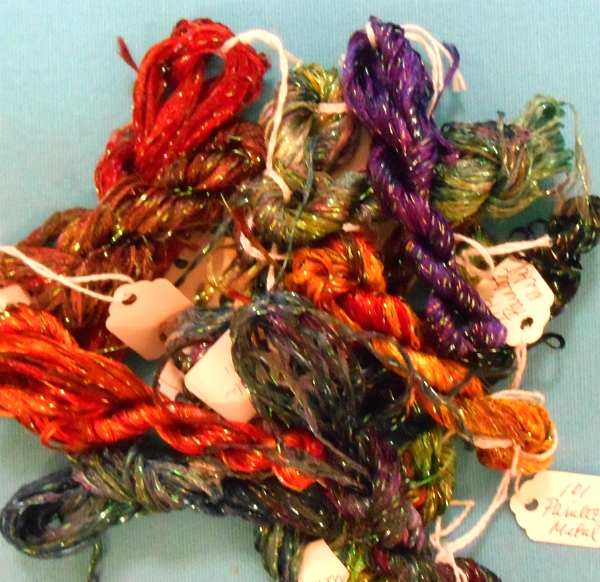 Shimmer is a softly braided ribbon made of rayon and one metallic thread. It can easily be stitched flat due to its construction. By pulling one or more of the braided threads you can rouche it to achieve a unique effect.